You must have already heard about the Hula, but it’s so much more than girls in coconut bras and grass skirts. Here’s what you need to know about it: it’s an expressive traditional dance form originating from the Hawaii Islands. It comes together from the basic foot steps, circular hip movements and gestures symbolizing natural events and mythological subjects - so it’s basically a dance that tells a story. The other fun thing about it is that it’s really easy to learn, and it can also contribute to a healthy lifestyle, being a good and varied physical exercise. It doesn’t matter whether you’re planning a Hawaiian themed party or wedding, whether you’re on the search for a fun hobby to take on, or perhaps you’re just a big fan of all things Hawaiian - Hula dancing is the right way to go. We have collected the best video tutorials to help you on your journey of mastering the art of Hula dancing and keeping the Hawaiian traditions alive. So, are you ready to do the Hula? 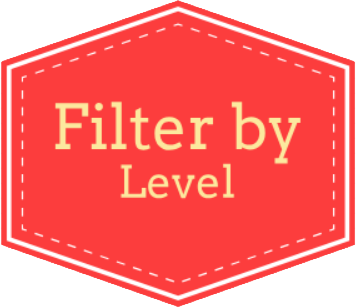 Just use the filters below to choose your level and dance on! © 2019 Hawaiian Shirts Online. All Rights Reserved.